Thanks for stopping by! 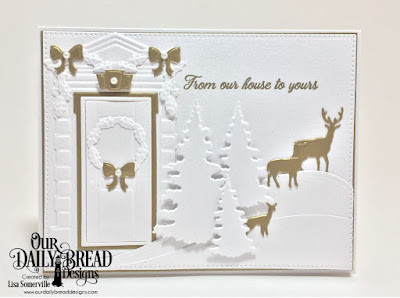 Today is a special blog post, as myself and some of the other ODBD Design Team Members are sharing projects created with the products available in the November 2017 Pre-Order Bundles! 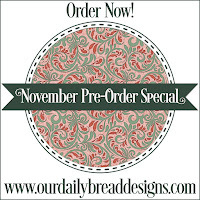 The Pre-Order Bundles can be ordered from Our Daily Bread Designs website through October 31, 2017, and will begin shipping November 1st or sooner! Please note that the individual products from the November 2017 Release will not be available for purchase until November 1st! There are THREE ODBD Pre-Order Bundles for the November Release and each money saving pre-order bundles also includes a FREE Gift! You can see all the Pre-Order Bundles HERE on the ODBD Website. 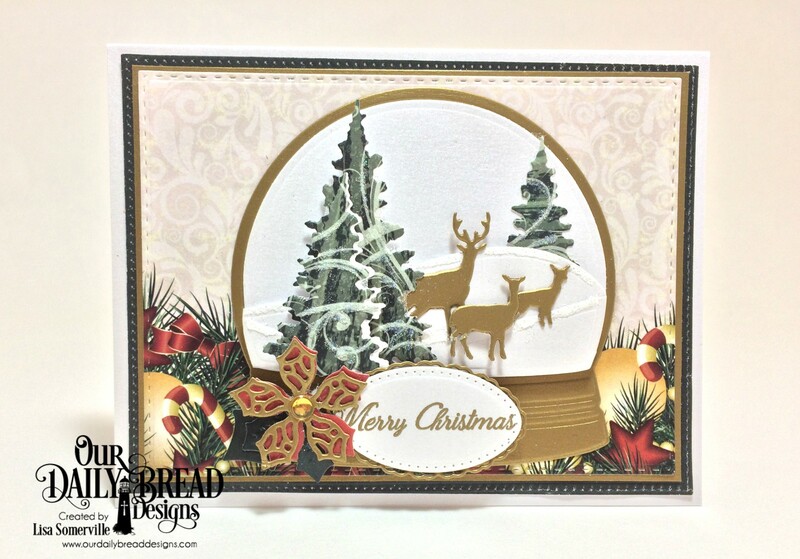 I'm sharing two cards today with products available in the November Bundles, for a complete supply list, please see the product details below each card. Your cards are beautiful. I especially love the one with the green tree. Please share what you used to make the snow look like its blowing across the tree? The Trees were die cut from the Christmas 2017 Paper Collection, the pattern of the blowing snow is on one of the papers.